Your Wild Horse & Burro Letters to Washington DC! Remember all those postcards you mailed in to the Cloud Foundation over the past two years? Or the flyers and petitions you signed demanding a moratorium to roundups at events where I was speaking? Well, tomorrow R.T. and Terry Fitch (Wild Horse Freedom Federation) and Jerry Finch (Habitat for Horses) will be hand carrying the Cloud Foundation mail as well as what (they have received (over 15,000 cards and letters!) to Congressman Jim Moran (D-VA). Congressman Moran will be giving your messages to the President. On July 30th the Colorado division of the Bureau of Land Management (BLM) called off the alleged “Emergency” roundup of Colorado’s West Douglas Wild Horse Herd. Earlier in the month wild horse and burro advocacy groups; Colorado Wild Horse and Burro Coalition, Cloud Foundation, Front Range Equine Rescue, Habitat for Horses, Dr. Don and Toni Moore along with the Wild Horse Freedom Federation attempted to block the proposed gather as it appeared to be an attempt to circumvent the current litigation blocking the BLM from zeroing out the unique wild horse herd for almost two decades. This article has been a major collaborative effort. Within these pages you will find absolute, scientific proof that horse meat from the US is deadly. To dispute these facts is to deny any role that science plays in research of the effects of chemicals on the human body. For those in the US, this tells of why a Federal system once concerned about food safety decided to bend the rules to benefit a few foreign companies. For those in the horse meat eating countries, read closely, for this will tell you why you are not feeling well at all. While long and detailed, this knowledge is vital to those wanting to know the truth about horsemeat and drugs. A judge has given permission for federal authorities to remove 40 to 50 horses from a historic wild horse herd in a drought-hit area of Colorado. 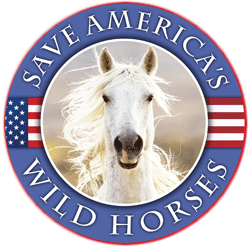 The Cloud Foundation, which contends the Bureau of Land Management (BLM) has been trying to eliminate the herd for decades, said it was relieved the judge had permitted only partial removal of the horses. On Tuesday, of this week, the honorable Judge Collyer heard our collective plea to stop the alleged “Emergency” roundup of a portion of the fragile and very special West Douglas herd of Northwest Colorado. The judge has been a champion of these horses over the years and she was no less when she based her decision to allow the roundup to proceed upon the incessant and inaccurate claims of no water, no forage and eminent death put forward by the BLM. She was concerned about the horses yet we private citizens knew the BLM and their intervenors were less than truthful and that there is a much more sinister and deadly agenda swimming not very deep under the surface of those mucky BLM waters.